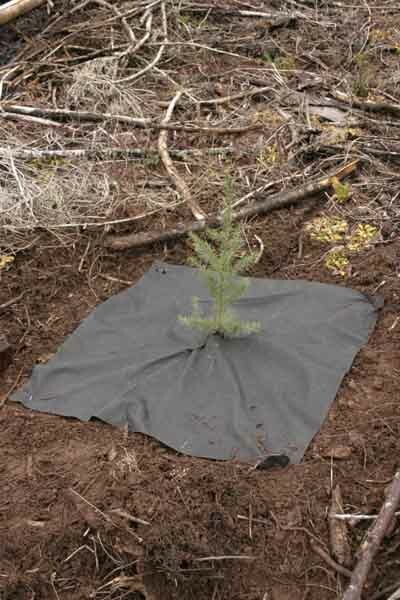 The unique construction of the black polyethylene VisPore mat allows rainfall and moisture to flow through the exclusive micro-funnel holes (over 400 per square inch) while blocking sunlight and preventing weed growth. Each 3’ x 3’ x 2.5 mil thick VisPore tree mat is slit in the middle for installation over the seedling or plant. The VisPore Tree Mat provides approximately 3 years of continuous weed control. • Comes in bundles of 100. 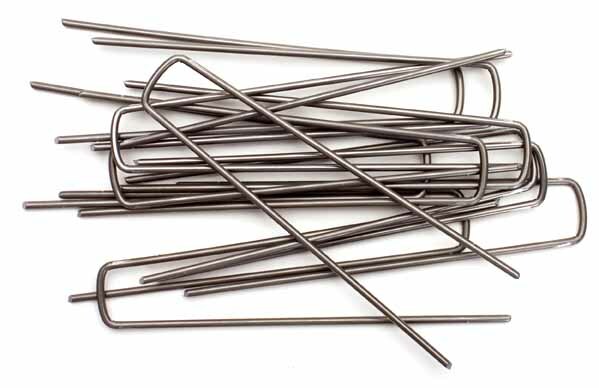 • Secured with ground staples (sold separately).